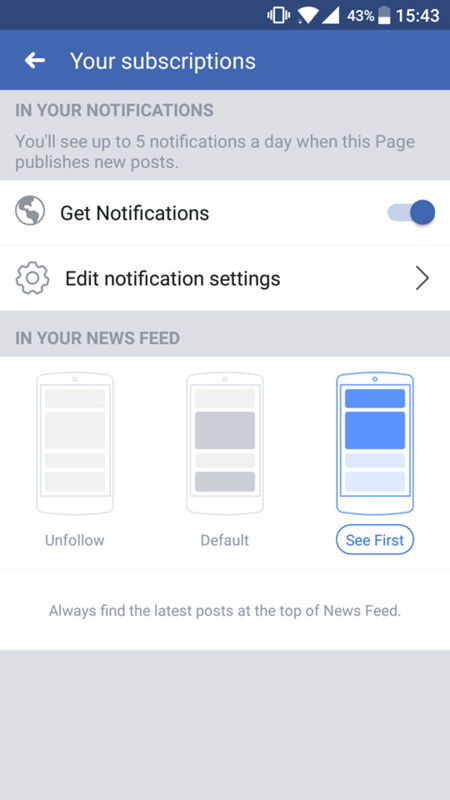 A while ago, Facebook announced a few changes to our newsfeed. Posts of friends and family are now considered as more important than posts from companies. This means that you will see more baby photos, couple selfies and travel pictures in your timeline. Facebook wants to show you more newsfeed updates you actually care about, from people you often interact with. These posts are more likely to generate conversations. At first sight, this is bad news for many companies. As a fan or a follower, you could miss newsfeed updates from companies you are interested in, and you might see less announcements, promotions or articles. 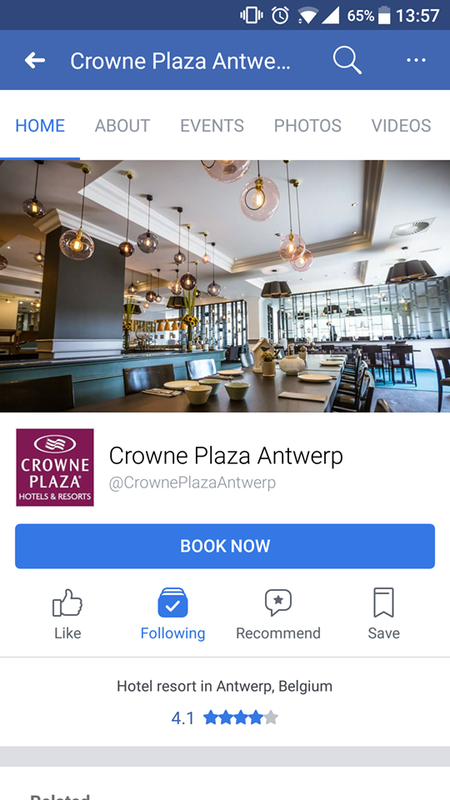 Luckily there is an easy way for you to make sure you don’t miss newsfeed updates of Crowne Plaza Antwerpen. All it takes is a few simple mouse clicks. You can do this on your laptop, tablet or smartphone. We will explain how it works in a few steps. Step 2: Click on the icon “Following” underneath the cover photo. Then select the “See First” option. As you can see, it really is a piece of cake. You can also use this simple trick for other Facebook pages of course. If you can’t get enough of Crowne Plaza Antwerpen (don’t worry, we understand), you can also follow us on Instagram and see beautiful pictures of our hotel. Or you can read our blog, with the latest news about our hotel and the city of Antwerp.